Suitable for intermediate plus riders. Rates are quoted per person sharing. 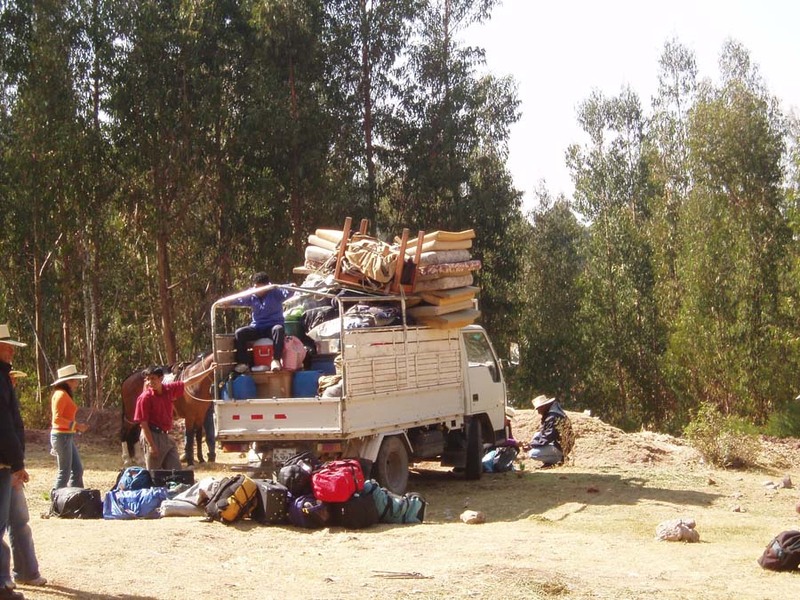 Our rides in Peru are set departure dates. Includes – All riding, full board (except excluded meals, see below), soft drinks, transfers, train ride and entrance fee to Machu Picchu. Taxi to hotel in Cusco. 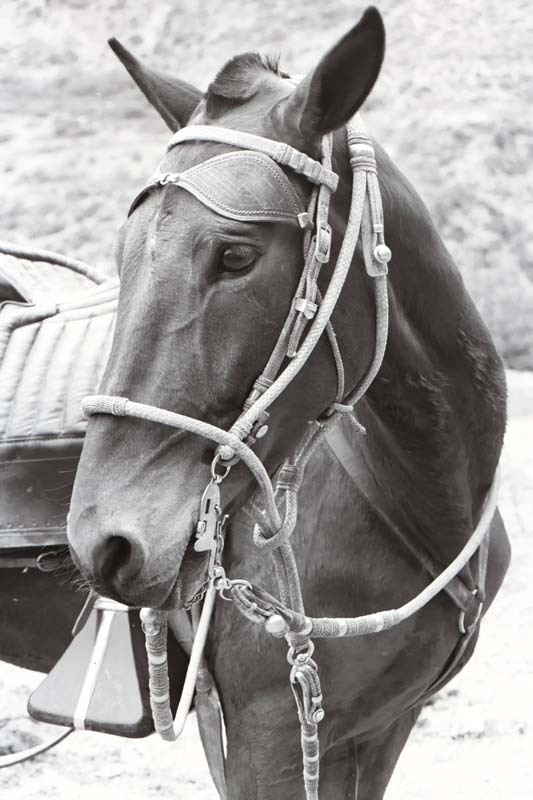 'National Geographic Magazine' voted this horse riding holiday in Peru as one of its 'Top Ten'. 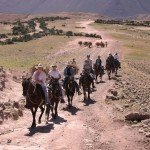 Discover Peru on The Sacred Valley Ride and the magic of the Peruvian Paso horse in a way very few are privileged to experience. 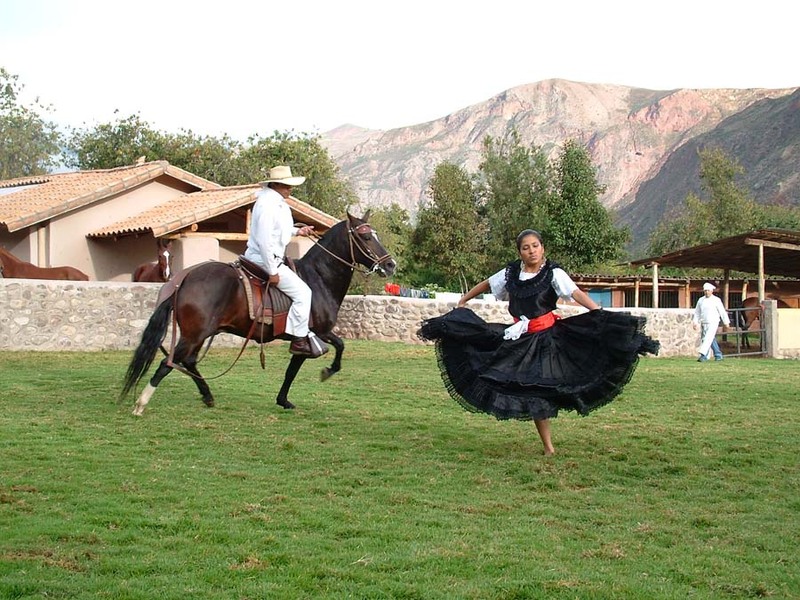 By day, explore the Sacred Valley of the Incas and by night enjoy fine hotels and gourmet food. This is a magical trip with plenty of comforts. 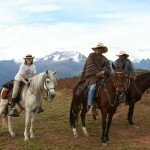 The Sacred Valley Ride ranch is located in the Sacred Valley of the Incas, in the heart of the Andes, between Cusco and Machu Picchu. 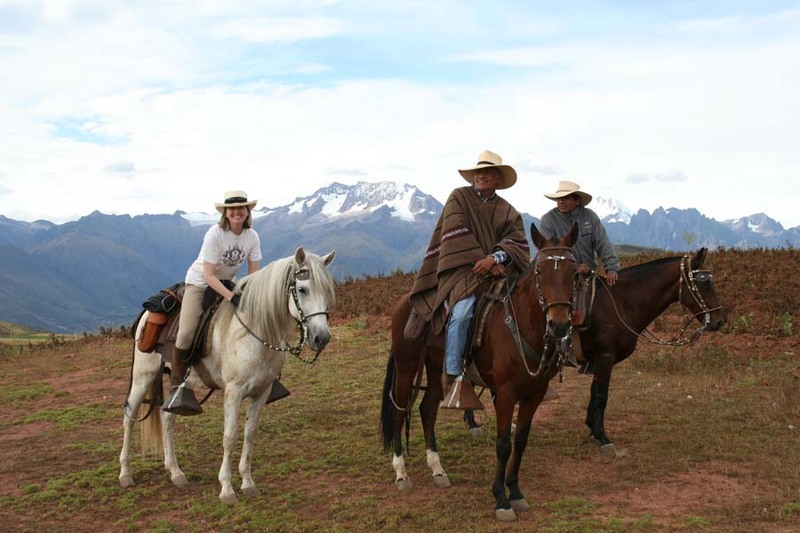 The dramatic scenery of snow-capped mountains, deep blue lagoons, and spectacular flora and fauna makes the Sacred Valley the prime base for adventure tourism in South America. 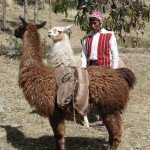 Our rides include panoramic vistas from the altiplano, tours of remarkable Inca ruins, and visits to remote Andean villages. 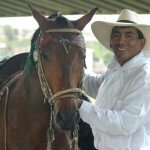 Our guide and host Eduard van Brunschot, returned from Holland to his native Peru some ten years ago to fulfil a lifelong passion, to start his own Peruvian stud and practice his traditional Peruvian horsemanship. 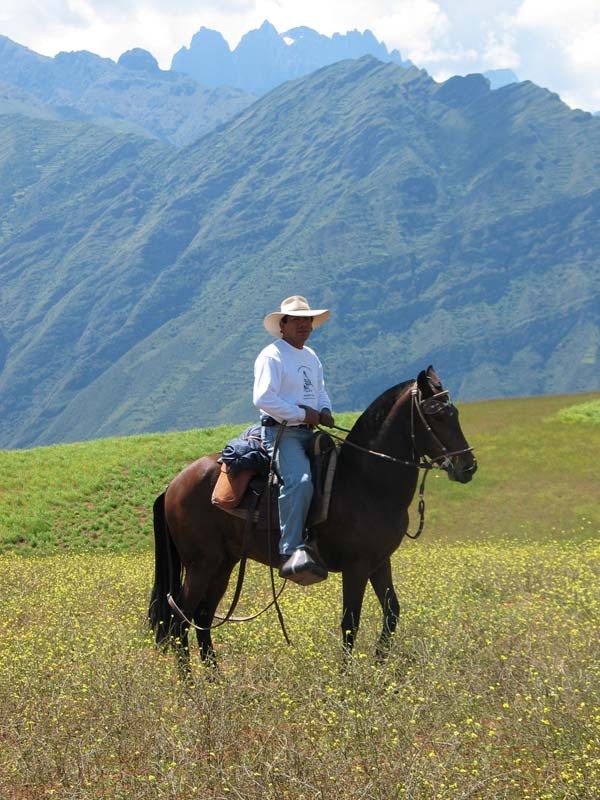 On The Sacred Valley Ride you will experience Peru away from mass tourism and see more amazing sights than your less privileged, tour operator peers. 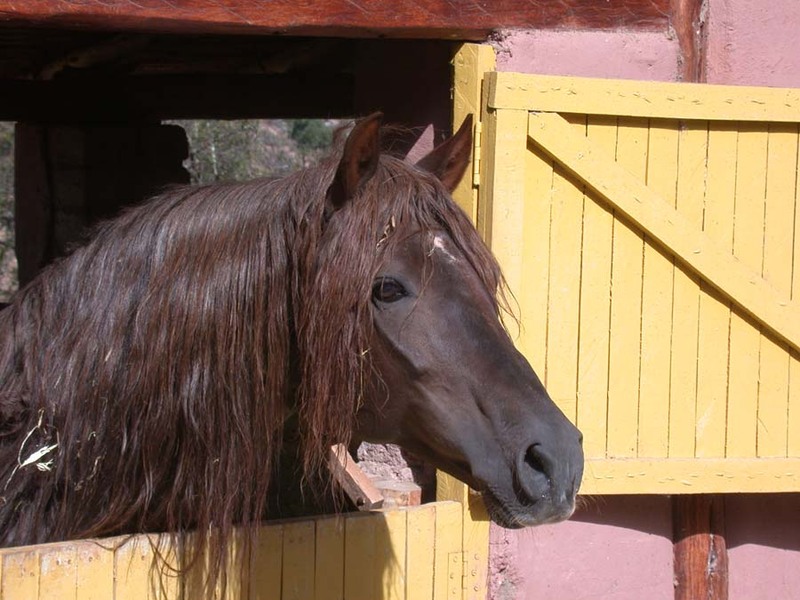 By day, explore the Sacred Valley of the Incas on horses descended from the steeds of the Conquistadors. By night, enjoy the luxury and comfort of the finest hotels in Peru. And of course, there is a visit to the mysterious, lost city of the Incas, Machu Picchu. 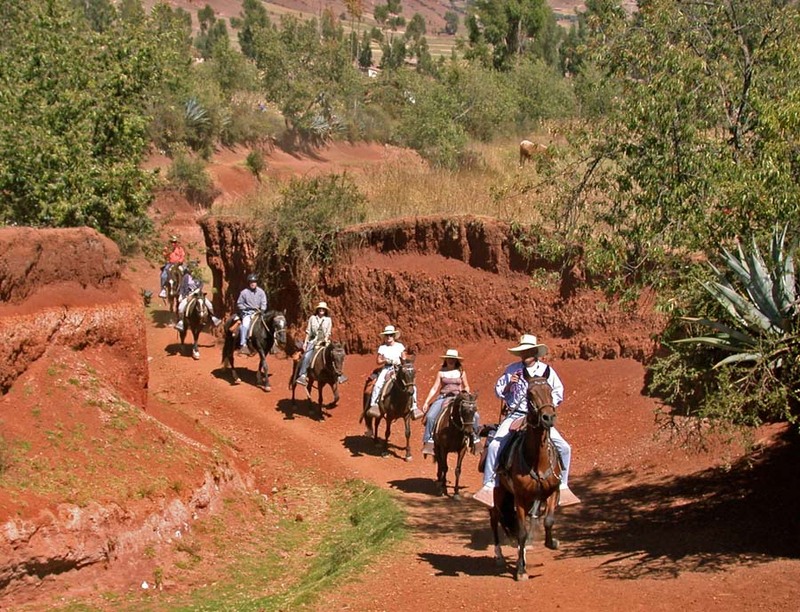 The Sacred Valley Ride is more than just an unforgettable riding experience in the Andes. It combines culture, history and adventure with fine Peruvian cuisine, comfortable mountain camps, and first-class hotels. 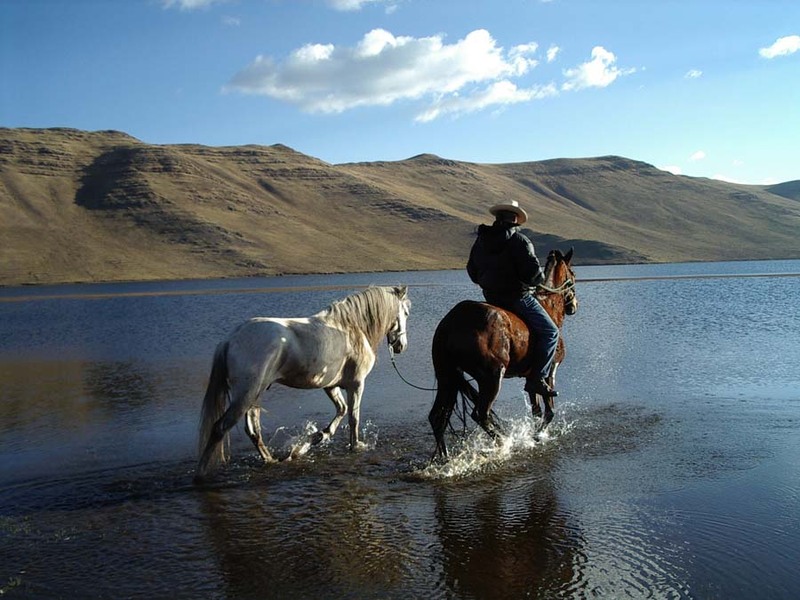 Note - On this ride, whilst it is not absolutely necessary to be an experienced rider, you need to be physically fit and able to deal with the high altitude climate whilst riding. 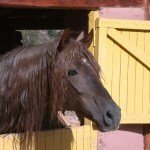 The Sacred Valley Ride – Horses – Peruvian Pasos. Level of Riding & Pace – Intermediate to Advanced. 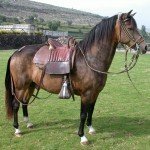 A good level of fitness is required, because you are in the saddle for up to 7 hours a day. 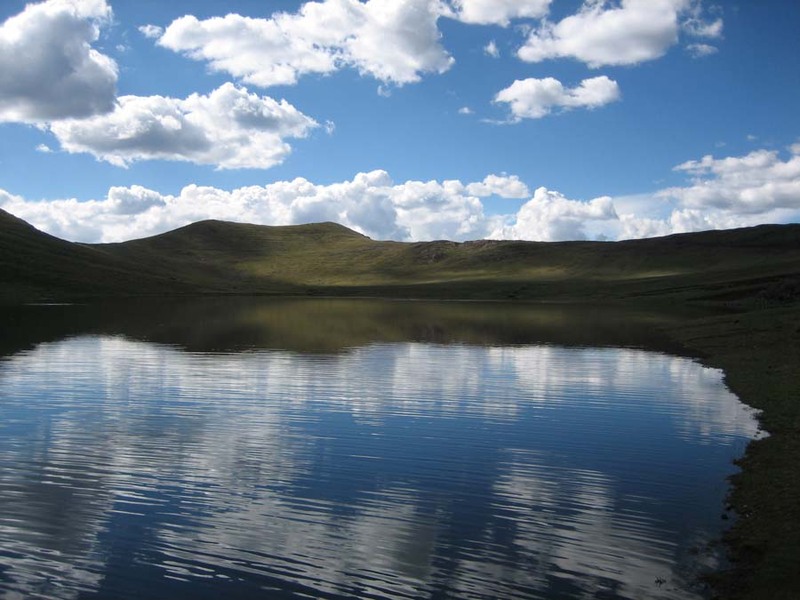 In addition, you will be hiking to high altitudes of 9,000 – 13,000 ft. 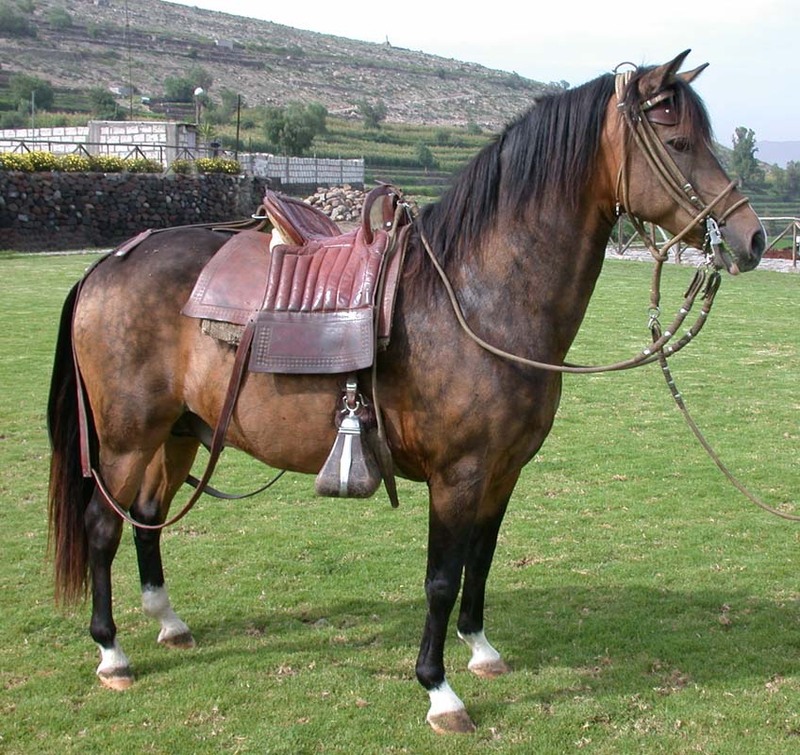 Tack – Peruvian, similar to Western style. Weight Restriction – 14 Stone / 90 kg / 198 lbs. You will stay 9 nights in stylish boutique hotels/guesthouses with en-suite facilities and 1 night in a comfortable mountain camp (this is dependant on weather conditions). 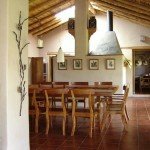 The food is excellent, regional cuisine made up of hot breakfasts, picnic lunches and 3 course evening meals. 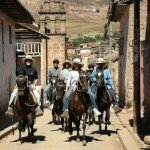 Horse Riding Holidays at The Sacred Valley Ride are part of the Zara’s Planet collection of Horse Riding Holidays Peru. Arrive in Cusco (altitude 3,300 metres) between 10:30 and 11:30am. 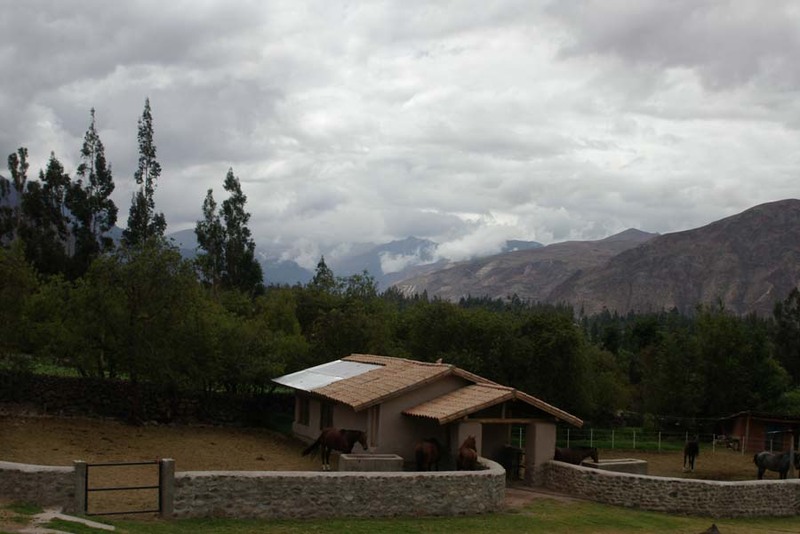 From here it is a drive of just over an hour to your accommodation in the Sacred Valley. 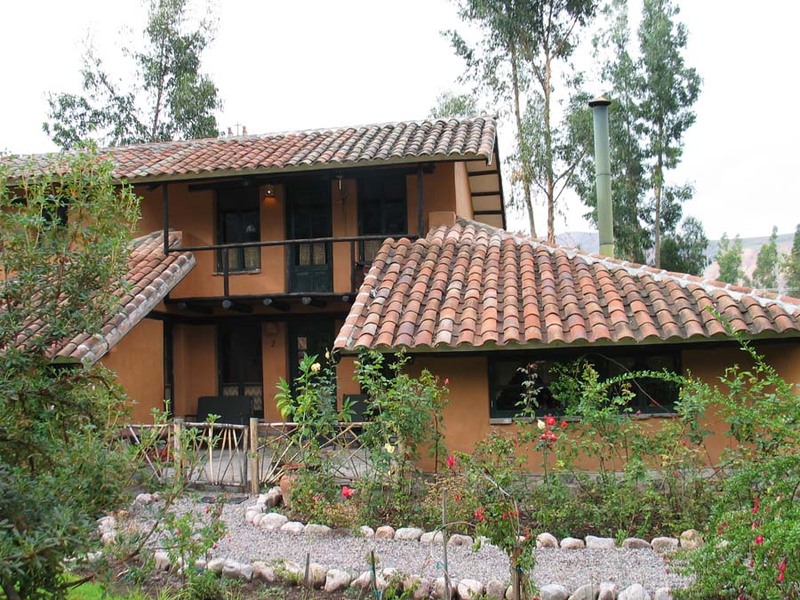 For the next four nights, you will be staying in comfortable accommodation in the heart of the Sacred Valley, between Cusco and Machu Picchu and only a short drive from the stables. 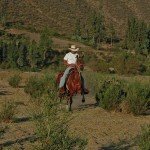 Once you have settled into your room you will be collected and transferred to the ranch. 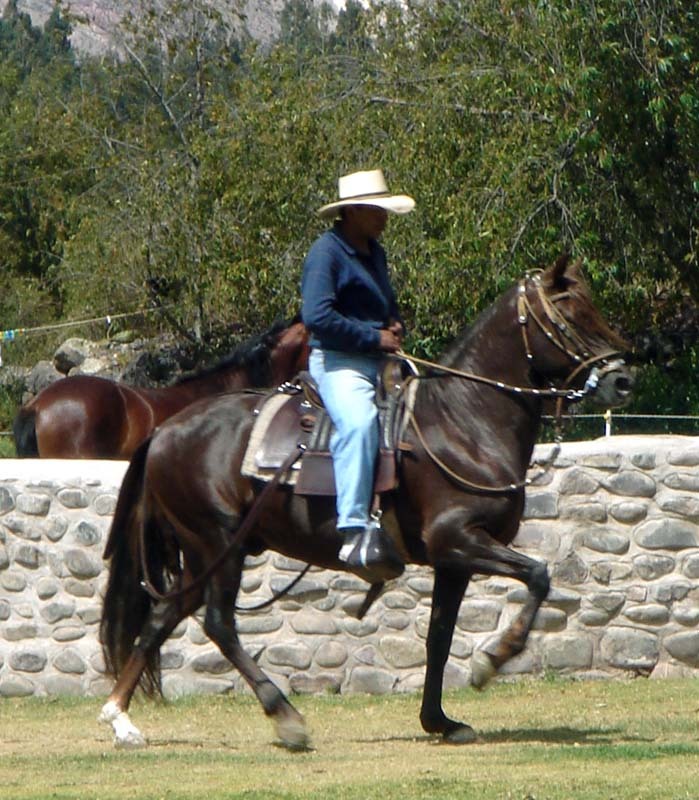 You will have the opportunity to become familiar with the beautiful Peruvian Paso horses and the traditional Peruvian riding gear. This is a time for relaxing, as it can take a while to become acclimatised to the altitude. Have lunch at the ranch. 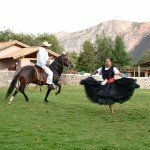 In the afternoon, there will be a demonstration of classic Peruvian equitation, followed by an introductory Peruvian riding course during which you will be asked to ride and your ability will be evaluated. 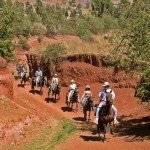 There will also be an informal briefing about the ride ahead, the horses and safety guidelines for the trail. You will then be taken back to your accommodation to freshen up and before dinner. Dinner at the ranch or at a local restaurant. Overnight in the Sacred Valley. Your hotel will be at an altitude of c. 2,800 metres. Today is a day to relax and enjoy being on holiday, while you continue to acclimatise to the altitude before the ride begins in earnest. 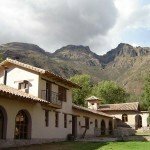 Around 10:00am you will take the short drive to Ollantaytambo where you visit the ruins and village. According to legend, Ollantaytambo is named after a rebellious chieftain, Ollantay, who took up arms against his sovereign, the Inca Pachacuti, in pursuit of his forbidden love for the Inca's daughter, Nusta Cosi Collyu. Historical records tell us the site was actually a royal estate of Pachacuti, the Inca responsible for the Empire's most expansive growth. This would account for the fine stonework throughout the site, and the quality, abundance and scale of the ceremonial architecture. Although not designed as a citadel when it was built in the 1460’s, Manco Inca successfully defended Ollantaytambo against Hernando Pizarro in 1537. The village of Ollantaytambo is the only inhabited settlement that has survived much as the Incas laid it out. 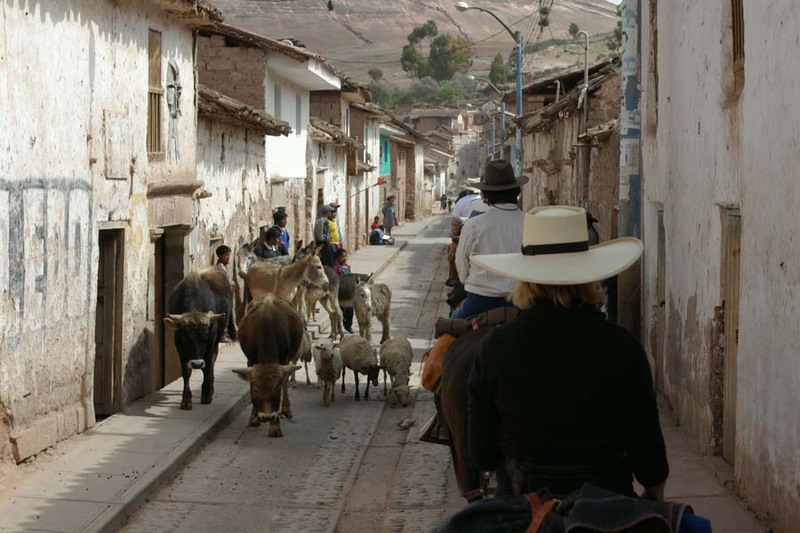 Its streets form a grid pattern, with many people still living in the original Inca canchas, blocks of multi-family homes sharing a large courtyard. Lunch will be served back at the ranch. 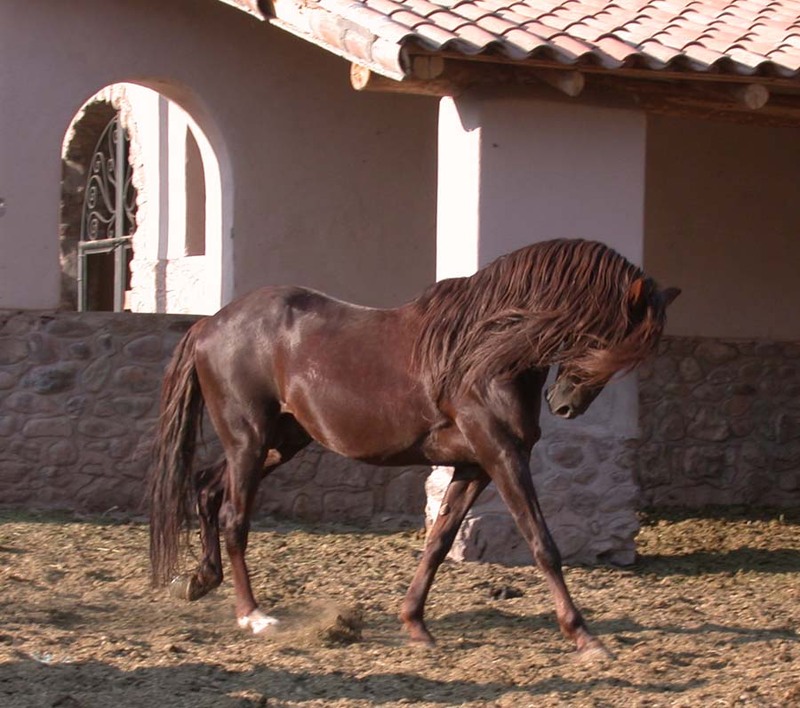 After lunch, continue your riding course in classic Peruvian equitation. Horse and rider will then be matched. 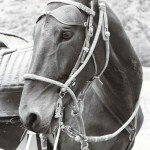 If time allows there will be a short ride in the valley to give you the chance to get to know your horse. Dinner at the ranch or at a local restaurant. Overnight in the Sacred Valley. Your hotel will be at an altitude of c. 2,800 metres. After breakfast at the hotel, you will be transferred to Perol Chico. Cross the Urubamba River over a traditional bridge and pass by Pichingote, an old Andean village where the houses are partially built into the caves. Then onto Salinas; here you see salt pans from Inca times which are still being used by the locals to extract salt from the mountain spring water. The salt pans consist of a series of platforms where the salty water is channeled through an impressive irrigation system and left to evaporate in the sun. 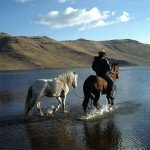 You climb with the horses almost 850m to reach the Andean altiplano. 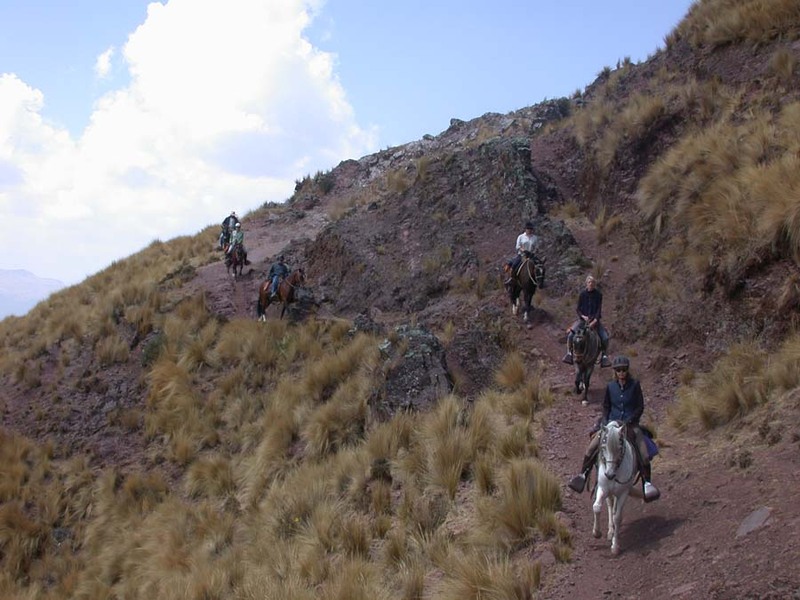 This climb takes about two hours and will be conducted at an easy pace because the change of altitude does not only affect the horses. Once at 3,550m you will be surrounded by stunning scenery and the snow-capped mountains of Chicon, Veronica and Pitusuray. 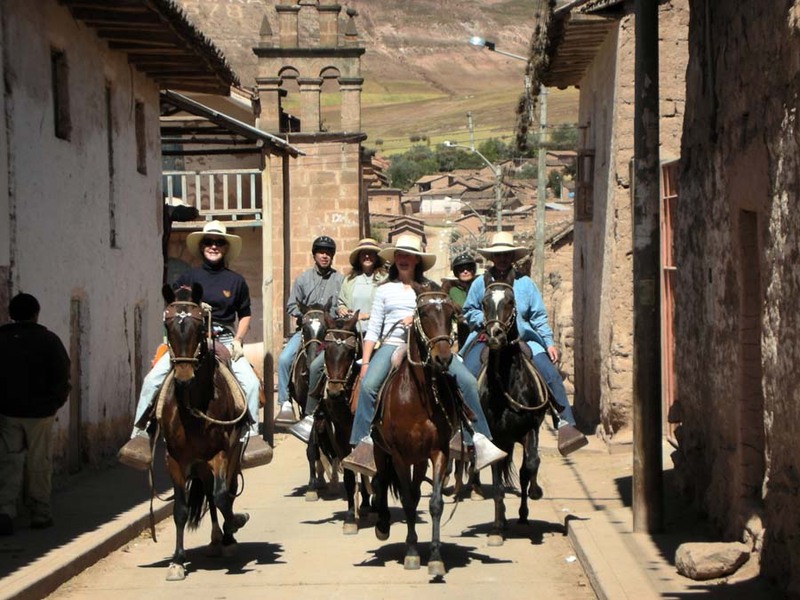 Continue your ride to Maras, a typical Andean village with a beautiful 400-year-old colonial church, where a picnic lunch will be waiting for you nearby. 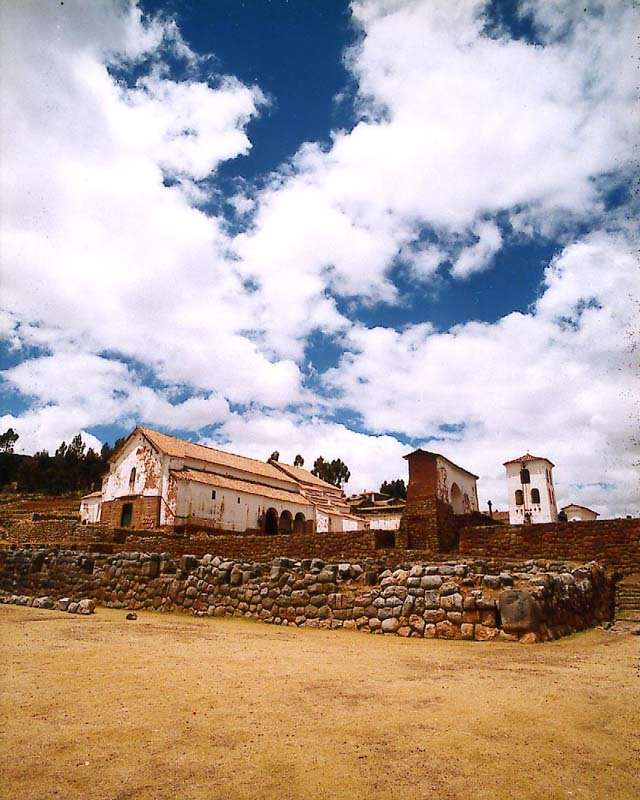 The church at Maras was built just after the Conquest and is one of the ten oldest churches in South America. From Maras, visit the ruins of Cheqoq. Here the Incas constructed fascinating cold-storage areas (pre-Hispanic refrigerators) to conserve the agricultural produce of the region. Cooling of the products was achieved by using a system of wind tunnels to circulate the air and a network of water channels to circulate the cold water from a nearby mountain spring. 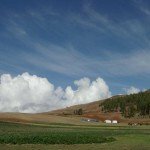 Continue riding to the beautiful churchyard of Tiobamba, which you should reach shortly before 16:00. Leave your horses here with the grooms and return to your hotel. 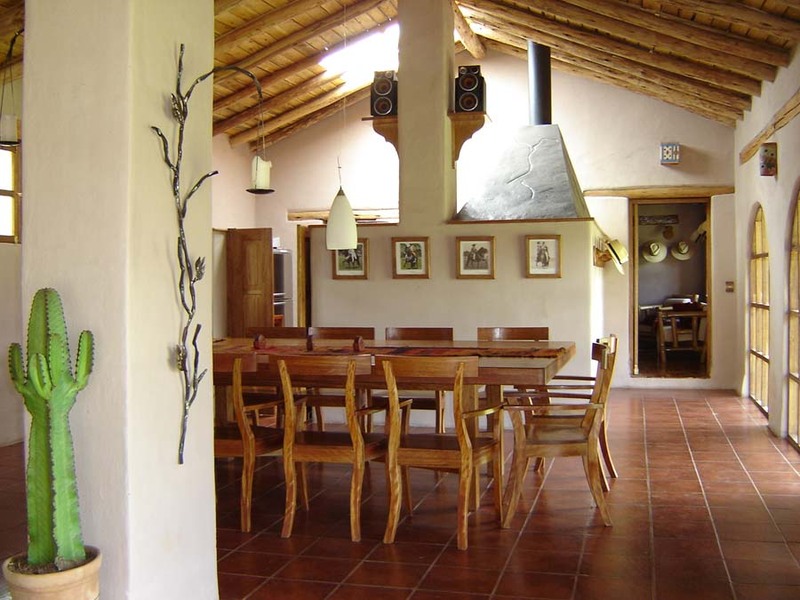 After some rest and a hot shower, have dinner at one of Urubamba’s restaurants or at the ranch. Overnight in the Sacred Valley. 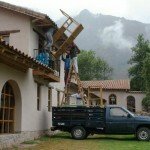 Your hotel will be at an altitude of c. 2,800 metres. Riding time: approximately 3-3.5 hours. Riding altitude: 2,700 - 3,550 metres. 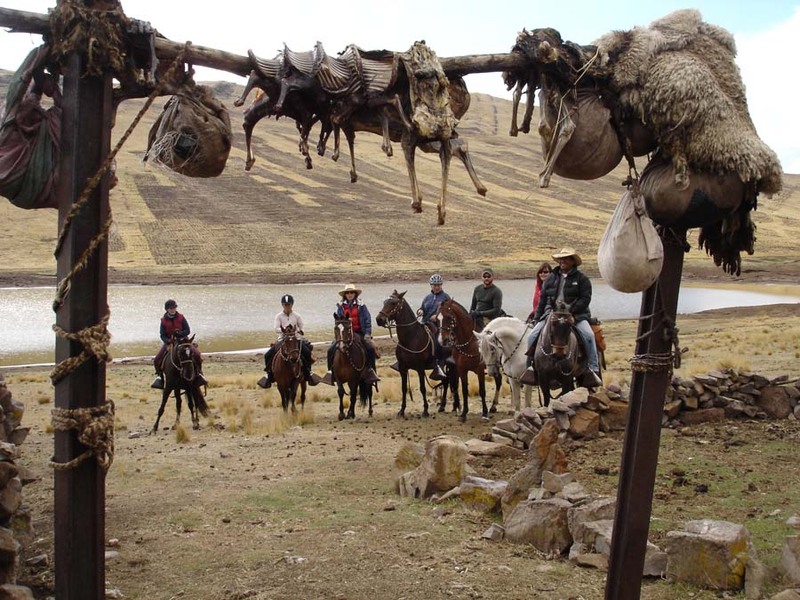 After a filling breakfast at your hotel, you will be collected at about 09:30 and transferred by vehicle to Tiobamba where the horses are waiting. 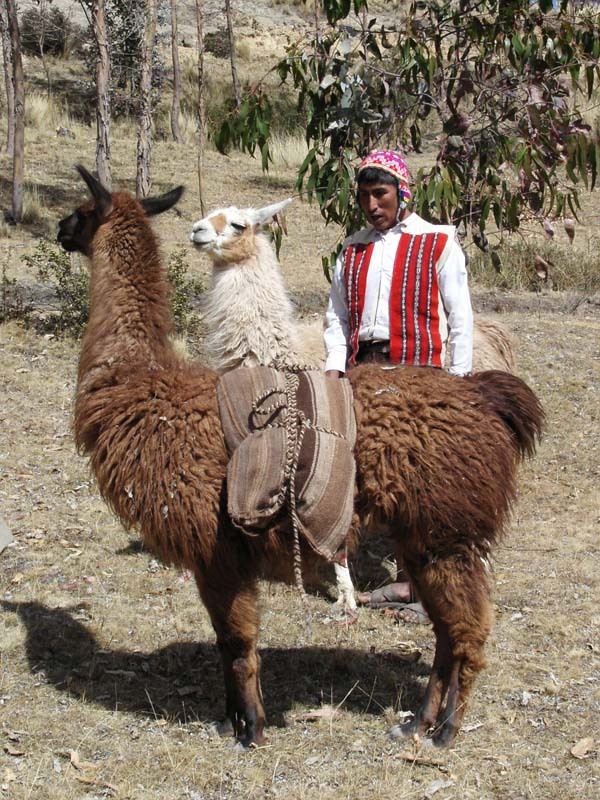 Today follow primitive trails across the altiplano. The scenery is spectacular with snowcapped mountains, wild flowers and beautiful mountain lakes. 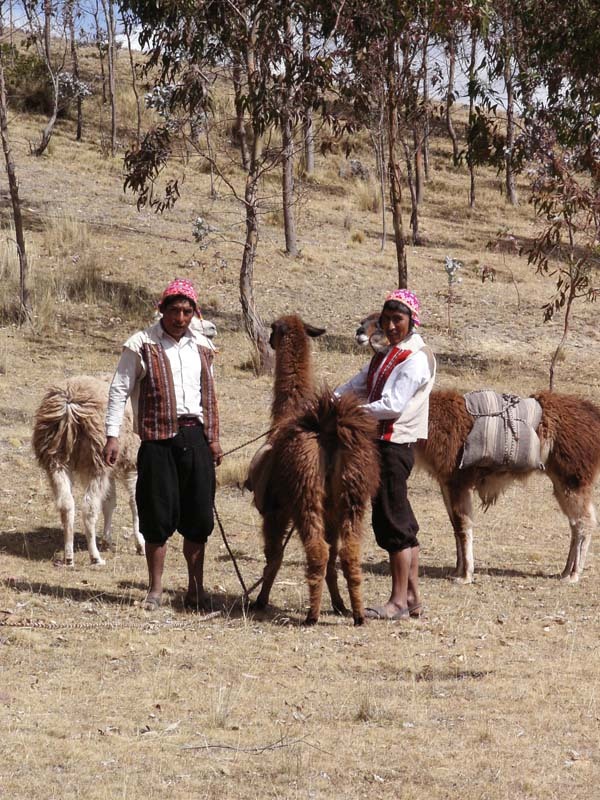 Meet smiling Quechua children with their herds of sheep or cattle and see campesinos ploughing their fields in the traditional way - oxen hitched to a wooden plough. You may even share a chicha (their traditional maize drink) with them. 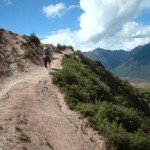 Then follow the trail to just outside Chinchero where a picnic lunch awaits you. 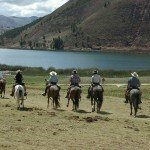 After lunch there is a short ride to Lake Piuray where you will leave the horses and take a short trip by vehicle to visit the ruins of Chinchero. The main square of the town is famous for its massive Inca wall, set with ten of the largest trapezoidal niches known among Inca structures. This was probably the base wall of a palace - perhaps that of Topa Inca - that once overlooked the square. At Chinchero there should also be the chance to visit a textiles workshop and see a demonstration of ancient techniques of spinning, dying and weaving wool. 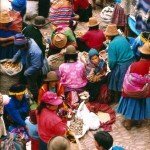 The beautiful weavings are still made as in times of the Incas. 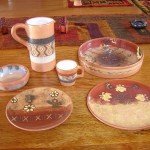 You may wish to have some money with you to purchase some souvenirs if you wish, (there is no obligation). 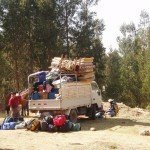 Transfer back to your hotel by vehicle. 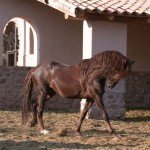 Dinner will be at a local restaurant or at the ranch. Overnight in the Sacred Valley. Your hotel is at an altitude of c. 2,800 metres. Riding time: approximately 4 hours. Riding altitude: 3,000 to 3,800 metres. You will be collected after breakfast and transferred to Lake Piuray. 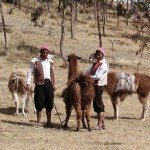 From here, you criss-cross through the rough Andean landscape, passing remote Quechua communities, herder's huts and small farms called chacras. Today is one of the most beautiful riding days. 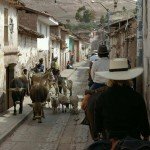 You will travel along a cobblestone-paved section of the network of Inca roads called the Capac Ñan, and enjoy beautiful vistas as you climb to an altitude of 4,000 metres. 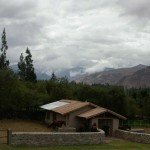 The scenery is absolutely breathtaking, with impressive views of the many snowcapped mountains and the altiplano. 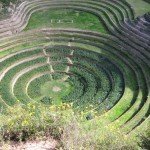 You will pass many impressive Inca ruins, like an ancient Inca aqueduct and Inca irrigation channels. Lunch will be a picnic brought to you at a scenic spot along the way. Some technical riding is required today as there is a difficult gorge to cross along the route. Your hardy, sure-footed mounts are well up to the task. 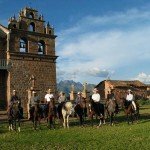 After a hard day's ride following old Inca trails, arrive around 16:30 just outside the historic city of Cusco, the oldest continuously inhabited city in South America and the former capital of the great Inca Empire. The Incas called their empire Tahuantinsuyu, 'The Four Quarters of the Earth'. Cusco, meaning 'the Navel of the World', was the centre of Tahuantinsuyu; its main square, the Huacapata (today's Plaza de Armas), marked the heart of Cusco and of the Inca Empire. For the next two nights, stay at a very comfortable hotel located near the Plaza de Armas, the heart of Cusco's archaeological centre. Have dinner in Cusco (own account). Your guide will be happy to recommend a restaurant if you wish. If you still have the energy you can explore Cusco's legendary nightlife. This evening you will be given an overnight bag in which to pack the gear you will need for your overnight camping trip on Day 7. Dinner and overnight in Cusco. 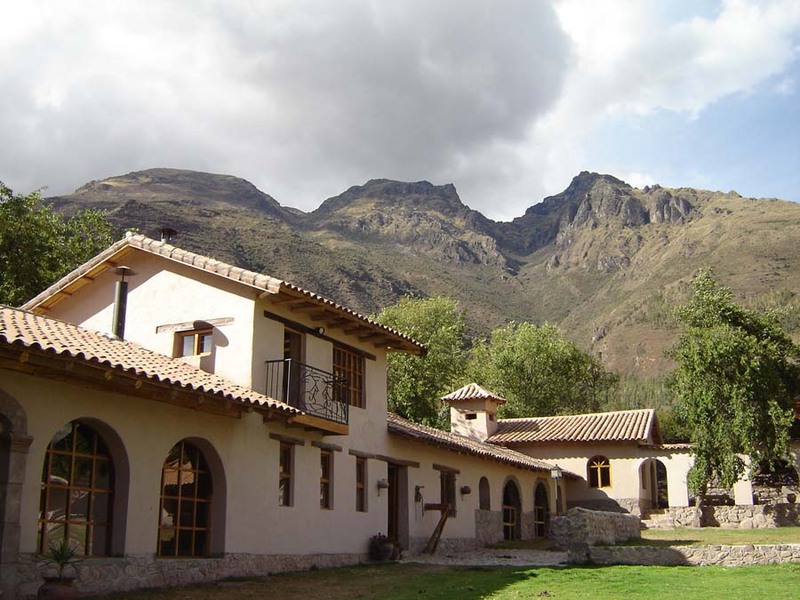 Your hotel in Cusco is at an altitude of c. 3,300 metres. Riding time: approximately 6 hours. 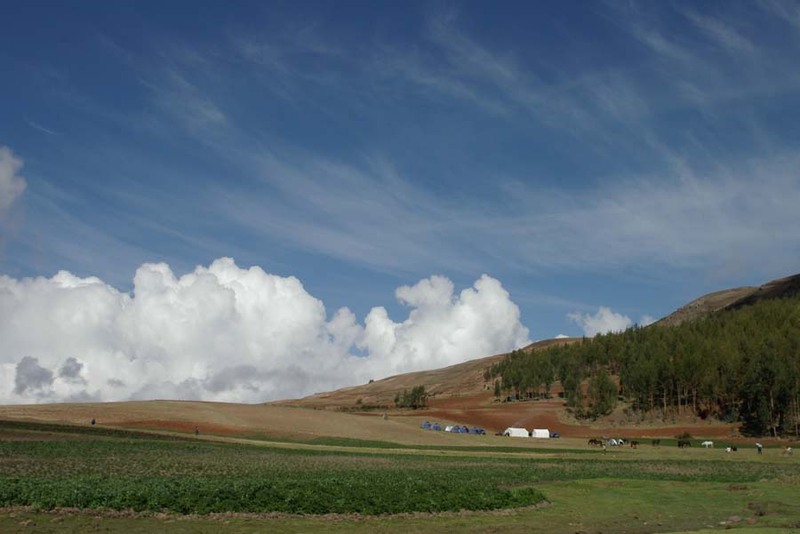 Riding altitude: 3,800 – 4,000 metres. Relax; today is yours to spend as you wish. Visit the numerous ruins, churches, cathedrals and museums of Cusco, do some shopping, or just relax in one of the many coffee shops, restaurants, or bars. 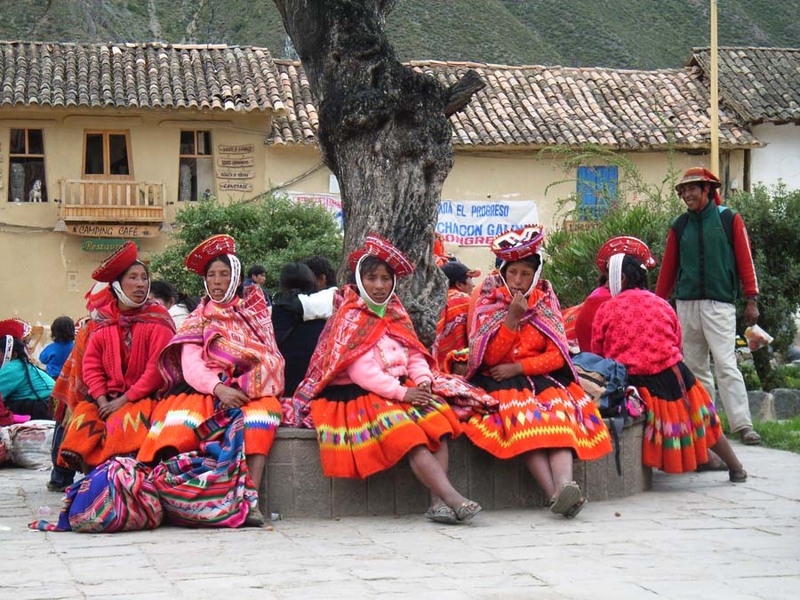 According to Inca legend, Cusco was founded around 1200 AD by Manco Capac and Mama Occlo. Manco Capac selected the site when the golden staff given to him by his father, the Sun, sank into the earth and disappeared. 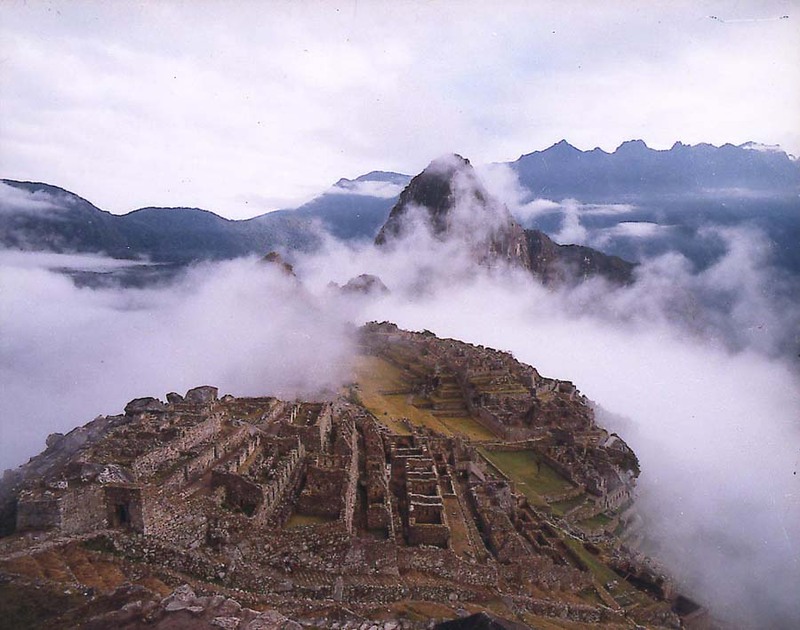 Each Inca emperor built his own palace and compound during his reign. The Spanish initially tried to raise the Inca buildings to the ground, but soon realised that because of their quality construction, it was easier to reuse the Inca foundations for their own buildings. 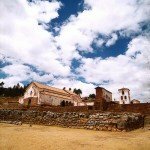 For this reason, you can still see many of the original Inca walls throughout Cusco. 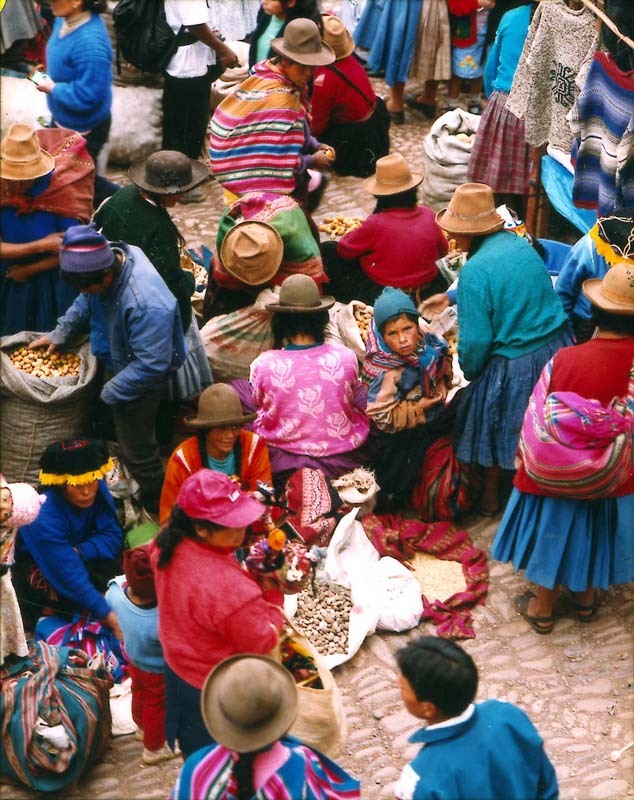 Cusco is now a vibrant city of some three hundred thousand inhabitants, the vast majority of whom are native Quechua Indians. Despite being a major tourist destination, both for its own treasures and as a staging point for the Sacred Valley and Machu Picchu, Cusco has managed to hold on to its own distinct flavour. It retains a natural charm that is irresistible. Dinner (own account) and overnight in Cusco. 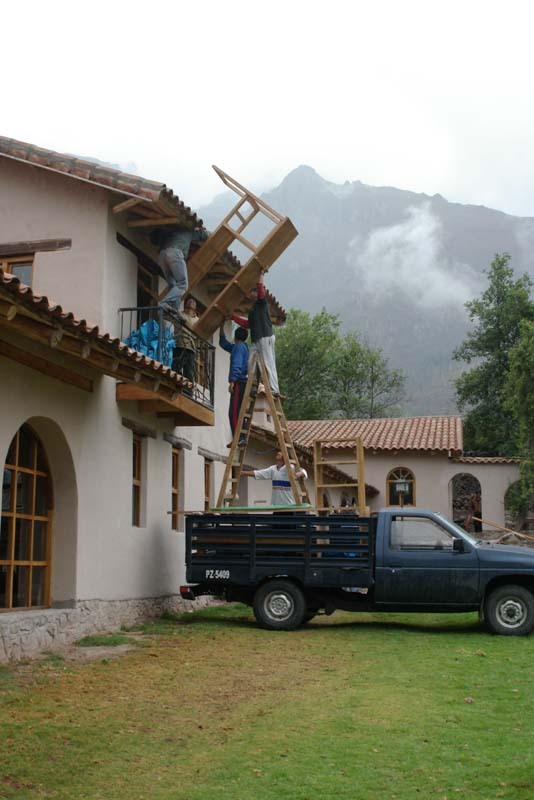 Your hotel in Cusco is at an altitude of c. 3,300 metres. After breakfast, continue on the expedition. 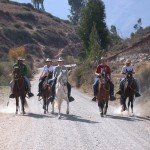 Today's ride will pass along old Inca trails and through open country with spectacular views providing another memorable riding day in the Andes. 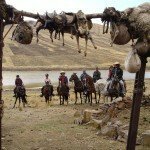 The horses will be waiting outside of Cusco in the countryside just beyond Sacsayhuaman. 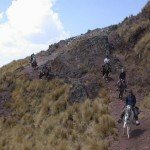 Starting at 3,300 metres you will begin by following a footpath leading north, then after climbing you will see a stone-lined Inca irrigation channel which parallels our trail. On ascending a steep, narrow valley, we reach a pass at 4,350 metres and see the small, shallow Lake Quellacocha. This is the highest point of the ride. At the lake you will stop for lunch. From your lunch spot, the trail heads in a north-easterly direction towards the Sacred Valley. 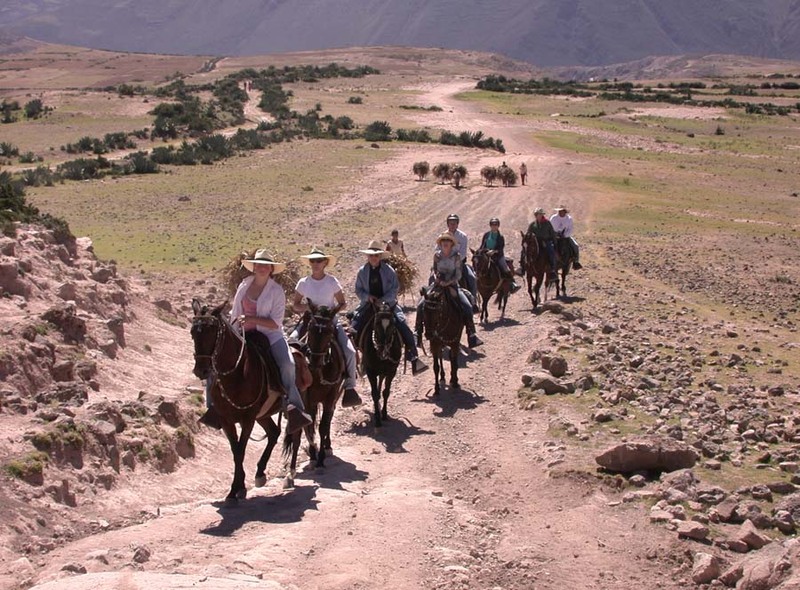 Descend with the horses from the altiplano into the valley of Umaspampa on a winding trail. 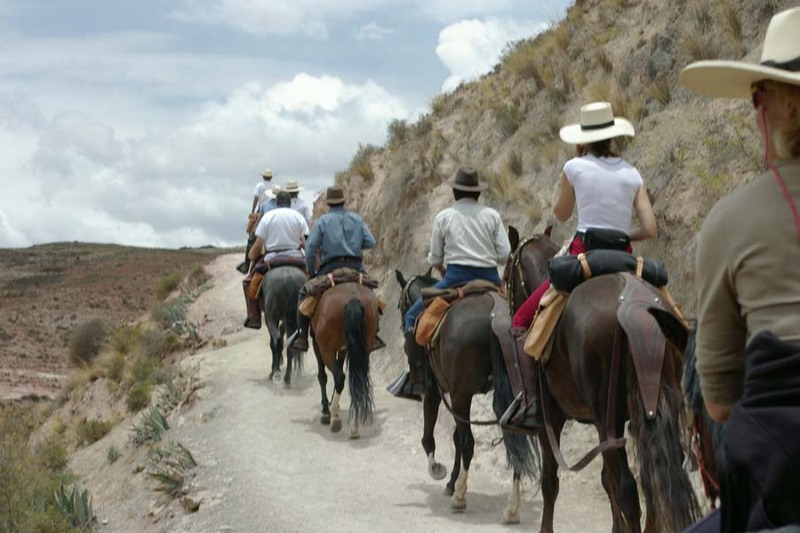 During this descent you are required to lead your horse for about 15-20 minutes across rocky terrain. 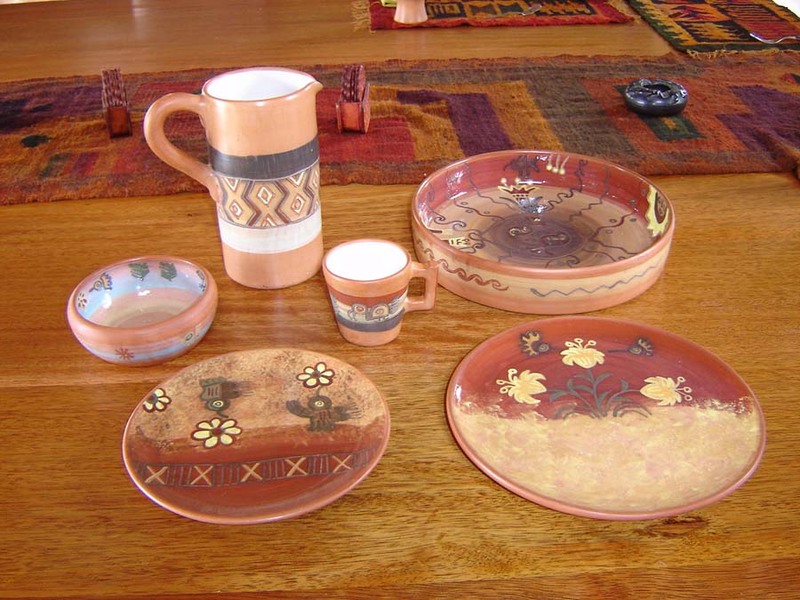 In the village of Umasbamba there may be the chance to buy some local handicrafts. 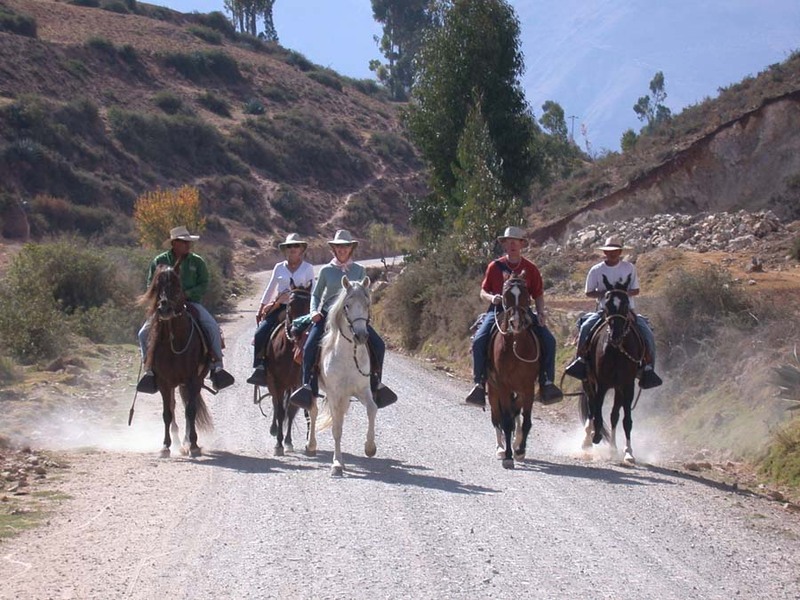 At the end of the trail, be transferred to your hotel in the Sacred Valley. Dinner will be at a local restaurant or at the ranch. Overnight in the Sacred Valley. Your hotel is at an altitude of c. 2,800 metres. 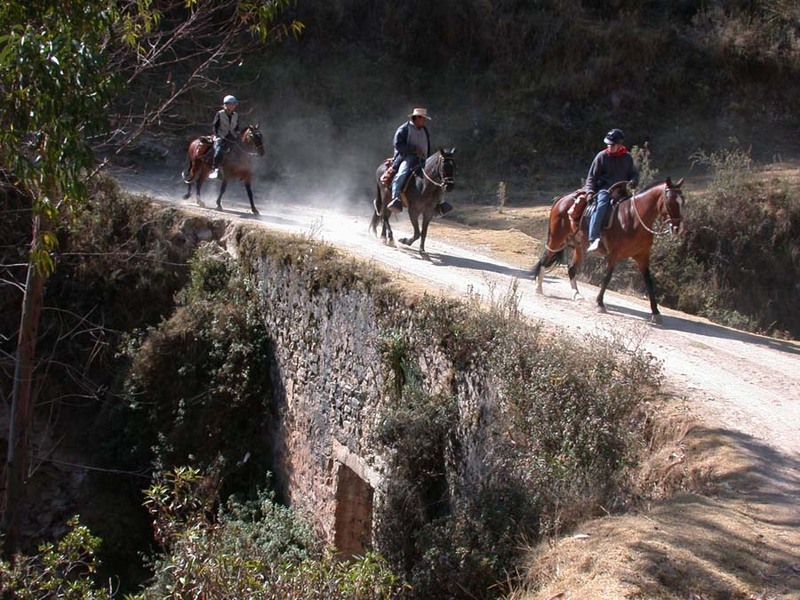 Please note: although this may be seen as a short day of riding, the trails and steep climbs at high altitude are very demanding for the horses. Riding time: approximately 5 hours. Riding altitude: 3,600 - 4,350 metres. Today, set off on a beautifully scenic ride. 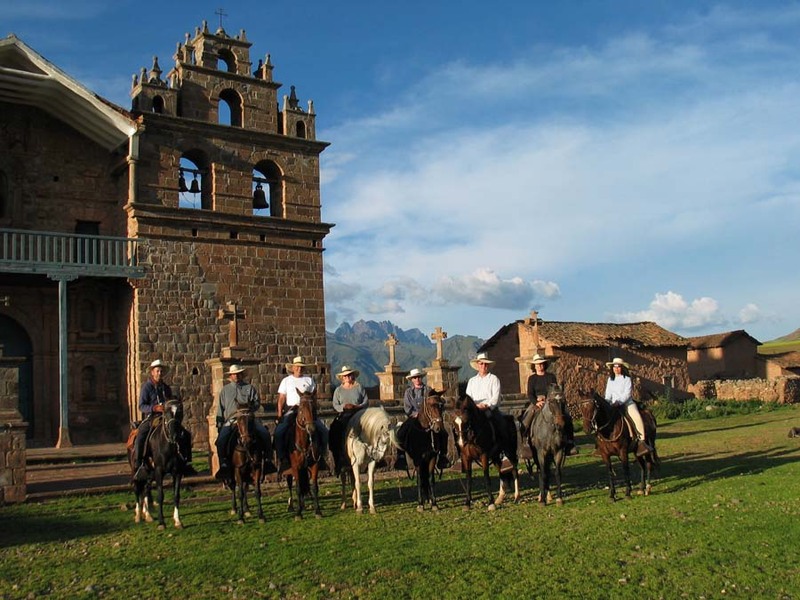 From the village of Umaspampa, ride to the villages of Cuper Alto and Cuper Bajo, arriving at Chinchero in the early afternoon. The scenery en route is absolutely spectacular and there will be plenty of breaks to soak up the atmosphere before the descent from the altiplano into the valley. 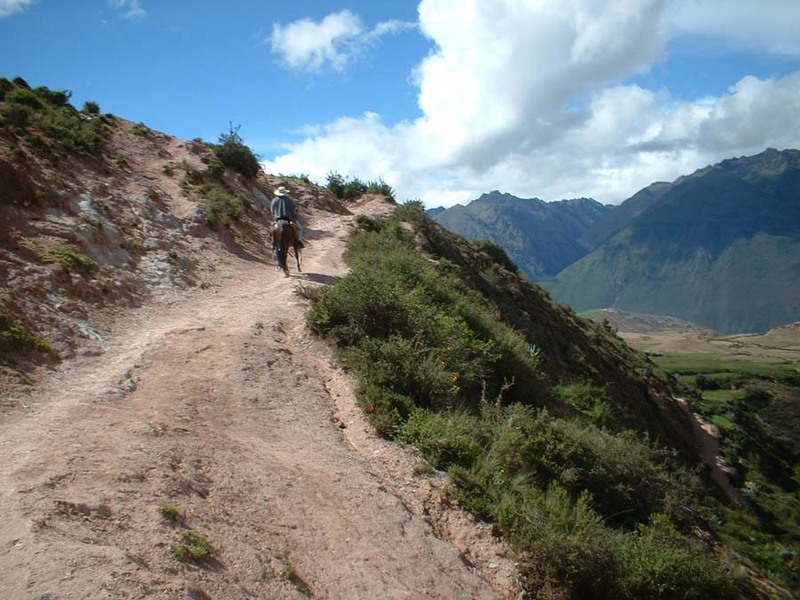 Today’s ride takes you along many miles of trails that are part of the great Inca Empire’s road system, the ‘Capac Nan’. The Inca Road network was one of the greatest engineering feats undertaken in the New World and rivaled the Roman roads of the Old World. This Incas set down 25,000km of roads linking Cusco, the Inca capital, to the empire’s far flung domains. The road system comprised almost all the territory of the Andes, including Peru, Bolivia, Ecuador, Argentina and Chile and was formed by four main roads and many secondary roads. Lunch will be at the village of Racchi. 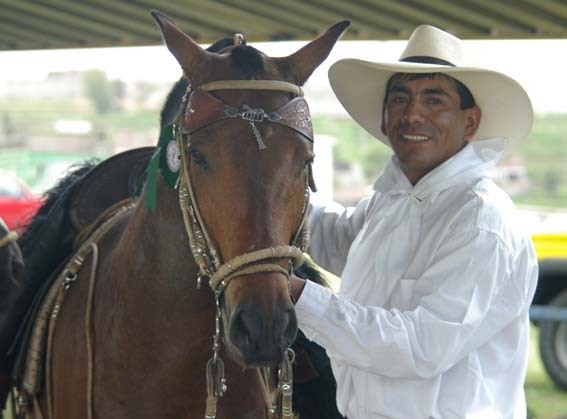 After lunch, ride in the direction of Tiobamba where you leave the horses with their grooms. Transfer by vehicle to your hotel. 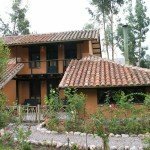 Overnight in a comfortable hotel in the Sacred Valley. Your hotel is at an altitude of c. 2,800 metres. Riding time: approximately 5-6 hours. Riding altitude: 4,300 – 2,800 metres. Depart after breakfast for the last day with the horses. 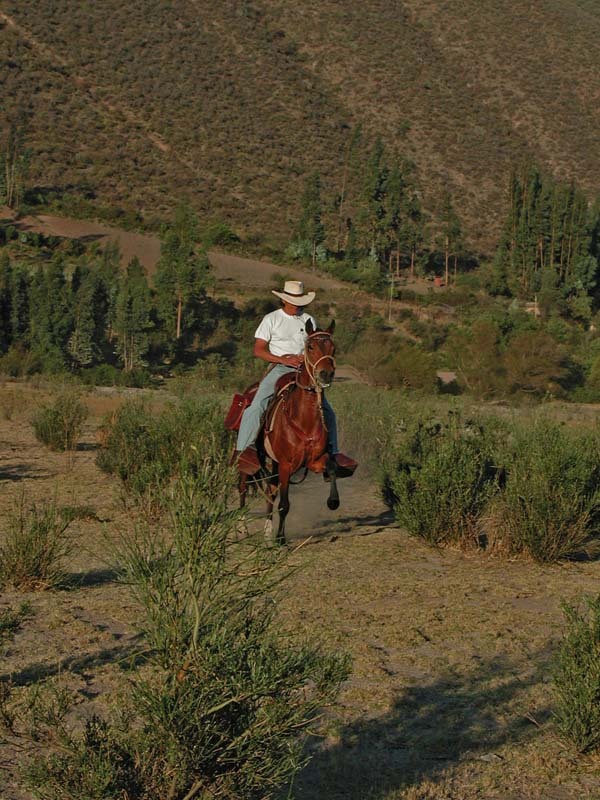 Before we ride you will visit the agricultural terraces of Moray. 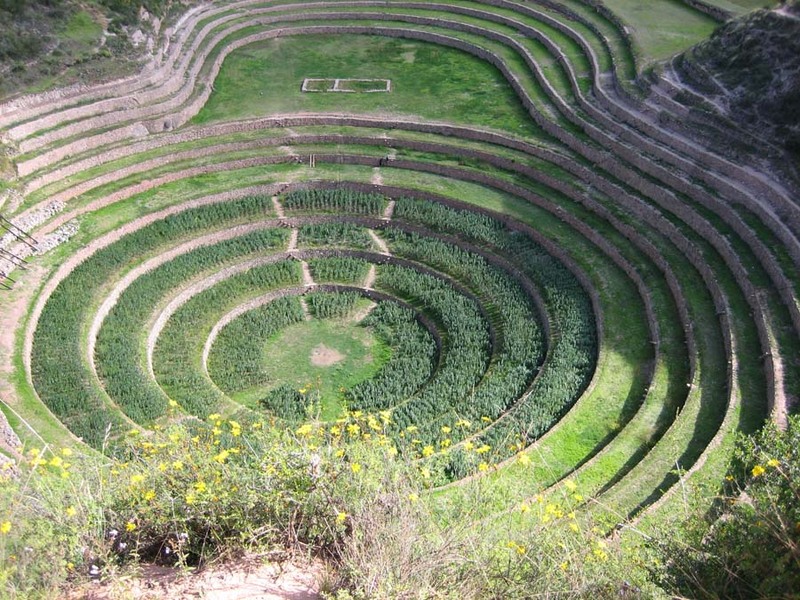 Hundreds of years ago, people in this region took four huge natural depressions in the landscape and sculpted them into multilevel agricultural terraces that served as an experimental agricultural station for the development of different crops. This was possible due to a remarkable natural phenomenon: the climates of many different ecological zones were present at a single site. 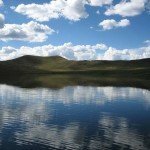 In the thirty or so metres of altitude between the bottom and the top levels of Moray’s depression, scientist John Earls recorded a full 15 degrees C difference in temperature. This is equal to the difference between the mean annual temperatures of London and Bombay! It is possible that Moray played a key role in the original transformation of maize into a high-altitude crop. There are no great ruined structures in Moray to impress; it is more for the contemplative traveller. After visiting Moray, a delicious lunch will be provided. 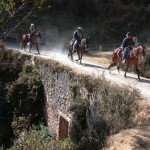 After lunch, mount the horses and follow a trail with great views of the Urquillos Valley, arriving at the village of Maras. 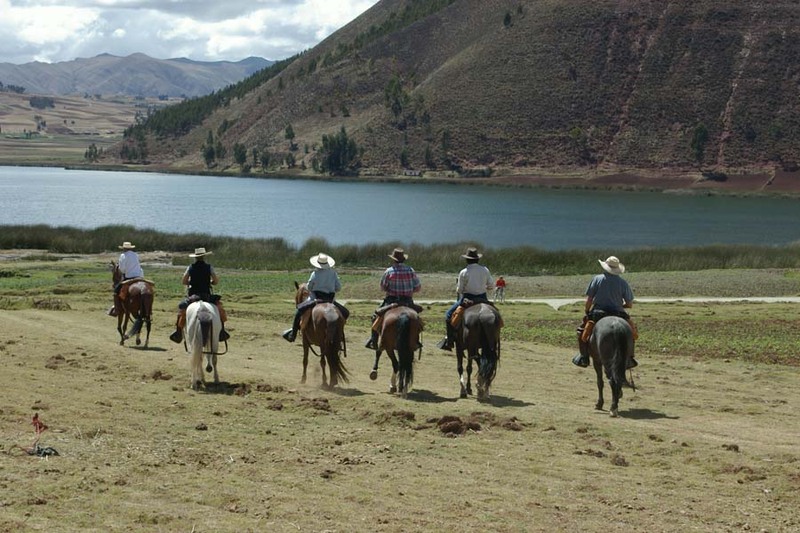 From here, continue the descent into the Sacred Valley arriving at the ranch around 15:00. Celebrate your return with a traditional Pisco Sour at the ranch. Have the rest of the day at leisure for tomorrow will be an early start. 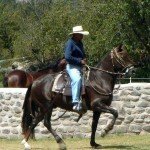 But before this, you must say goodbye to your horses and the staff that have helped you along the way, for tomorrow you will have a day of sightseeing and so it is unlikely you will have a chance to see the horses or staff at ranch after today. 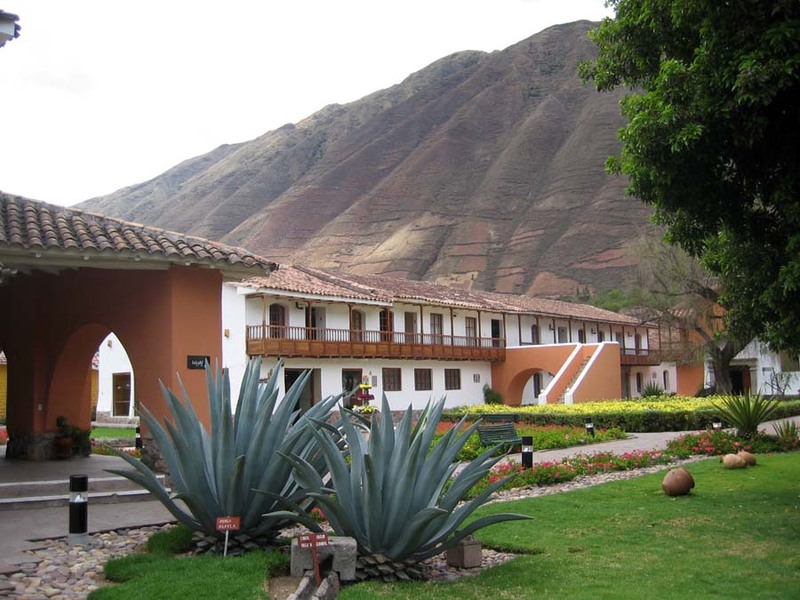 Overnight at a comfortable hotel in the Sacred Valley. Your hotel is at an altitude of c. 2,800 metres. Riding time: approximately 3.5-4 hours. Riding altitude: 2,800-2,600 metres. Your day starts early, with a collection at c.06:00. 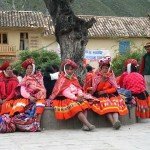 Catch the early train from Urubamba to the ruins of Machu Picchu. NB. Please note that due to new regulations enforced by the National Institute of Culture, when visiting Machu Picchu you must take your passport with you. The experience of visiting Machu Picchu is not limited to the ruins themselves; the train journey is one of the most spectacular in the world. The Vistadome train brings you to Macchu Picchu an hour before the main tourist train arrives from Cusco. Since its discovery by Hiram Bingham in 1911, Machu Picchu has captivated the hearts and minds of the modern world. 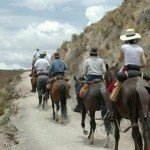 Your riding guide will not accompany you to Machu Picchu, but will explain the plan for the day in detail before you go. 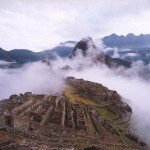 You can wander around Machu Picchu on your own, or you could hire a guide on arrival if you prefer (which would be payable locally). In the afternoon take the train back to Urubamba, arriving late afternoon. Have dinner at one of Urubamba’s famous restaurants or at the ranch and enjoy the last chance to sample Maria’s Pisco Sours! Today, you will experience altitudes of between 2,800 and 2,100 metres. 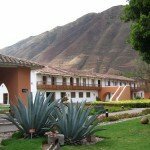 Overnight at a comfortable hotel in the Sacred Valley. Your hotel is at an altitude of c. 2,800 metres. Early morning transfer to Cusco airport for your flight to Lima and home. The driving time is just over an hour, followed by a c. one-hour flight. Flights should leave Cusco between 11:00 and 14:00. The itinerary is flexible. Changes may occur due to weather and other unforeseeable circumstances. Thank-you, thank-you, thank-you Jill for organising what you described as a trip of a lifetime. 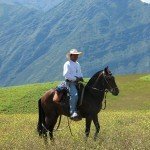 I will forever remember the Peruvian hospitality, Eduards gorgeous horses, the stunning scenery and the genuine camaraderie in our group.